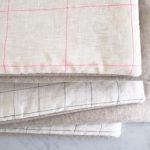 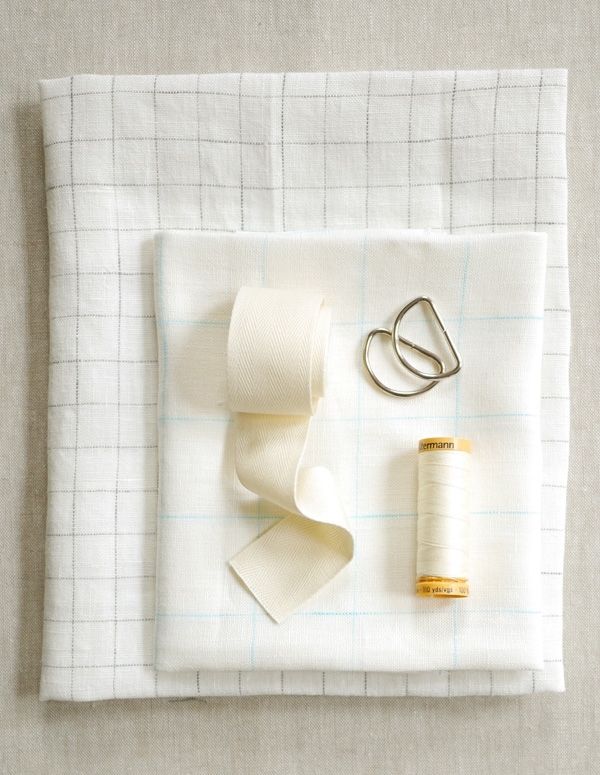 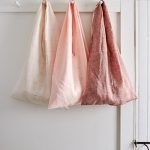 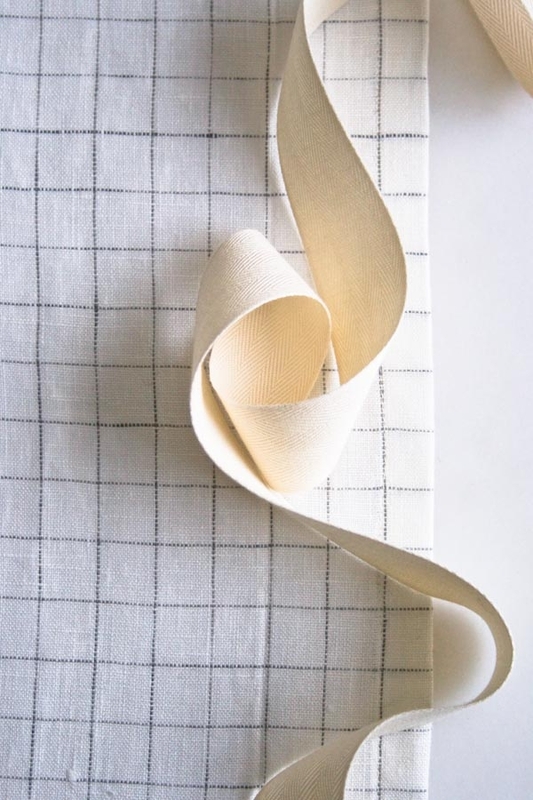 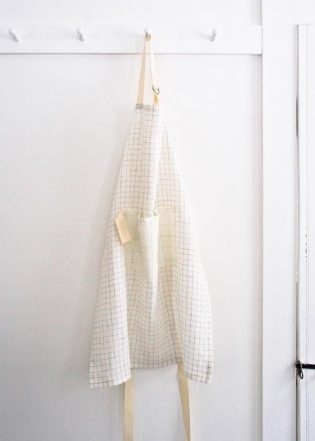 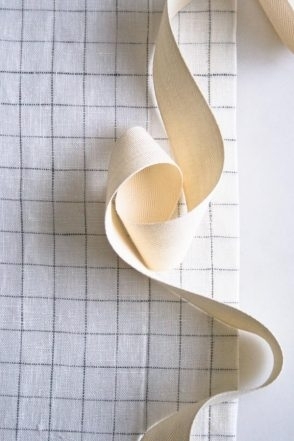 Purl Soho’s beautiful new Linen Grid fabric is a no-brainer in the kitchen. 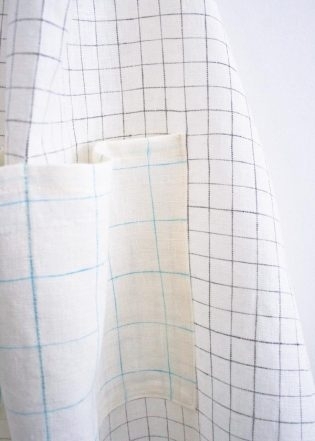 Its linen fiber is absorbent, sturdy and machine washable, while the tidy grid pattern is reminiscent of classic table linens. 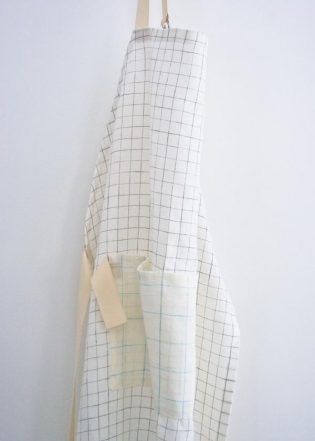 So it’s only natural that we turned to one of our all-time favorite kitchen projects to celebrate our Linen Grid collection! 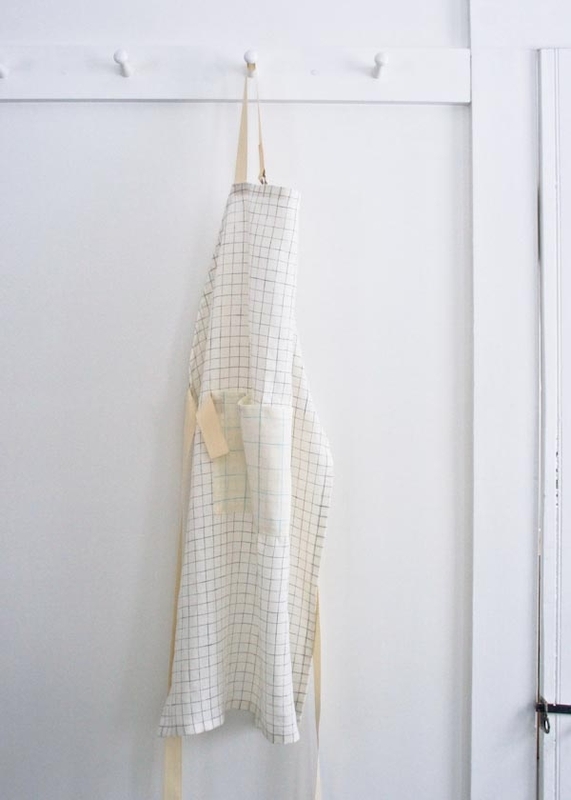 With adjustable neck ties and long waist ties, our Simple Linen Apron is designed to fit anyone! Cooks will appreciate this project’s no-nonsense design and handy towel hook, while sewists will revel in the straightforward construction and quick assembly. 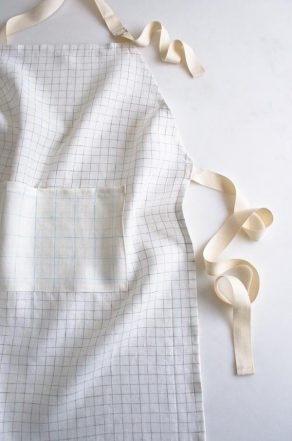 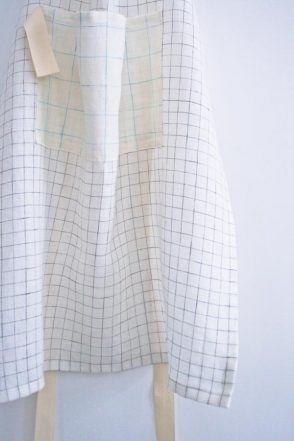 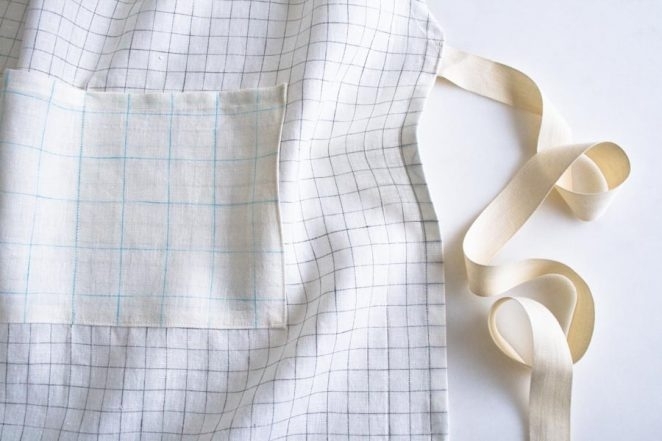 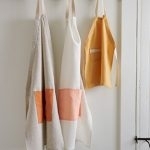 For the full pattern, including step-by-step photos and lots of tips, visit our original Simple Linen Apron post!